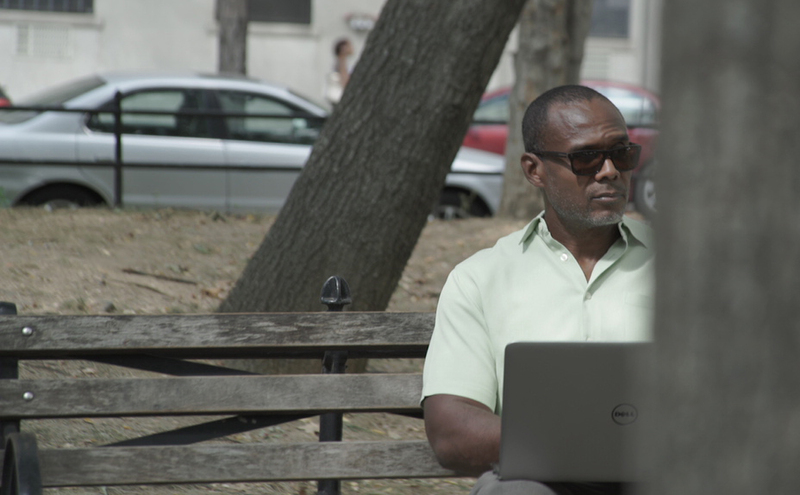 In the neighborhoods of Brooklyn, James Hannaham sees slavery everywhere: the coffee shop, crowded sidewalks, the vegetable aisle of his supermarket. Some people could be wearing clothes sewn by slaves, others eating fruit picked by slaves. "I look all over the place and see people everywhere--and I'm constantly thinking. I just assume that everybody has been, in some way, touched by slavery." "Fighting slavery is important to me because I would like to live a life knowing that I am not contributing to the abuse or torture of other people," Hannaham says. He started seeing slavery all around him as he was writing his second book, Delicious Foods. It is a darkly comic and complex, bold story of a grieving mother's crack cocaine addiction and the slavery that engulfs her as she seeks desperately to shake an insatiable habit. In a drug-induced stupor she is kidnapped and forced to work on the farm of the book's title. The novel won the 2016 PEN/Faulkner Award for Fiction. The Washington Post called it "sensational;" The New York Times hailed Hannaham, who also wrote God Says No, as a "writer of major importance." Hannaham first discovered modern slavery when he read John Bowe's 2007 book, Nobodies: Modern American Slave Labor and the Dark Side of the New Global Economy, about forced labor slavery around the world. He was struck by the story of a woman enslaved in Florida in 1992. "My eyes practically fell out of my head," he says. He thought slavery was "dead and gone." After Delicious Foods was released to rave reviews, Hannaham decided to act on his anti-slavery message. "It really isn't about me," he says. "The way our society works is to keep us ignorant of all these things happening in our name. I'd like to take agency and say that's not acceptable." He chose to support Free the Slaves on the recommendation of Bowe himself. Today he is one of our biggest supporters. 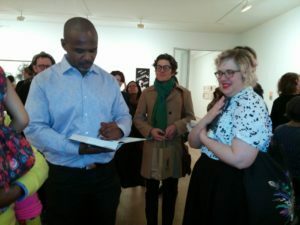 When Delicious Foods was published, he launched the book, at a New York City art gallery, as a benefit for FTS. He donated much of his advance to FTS. 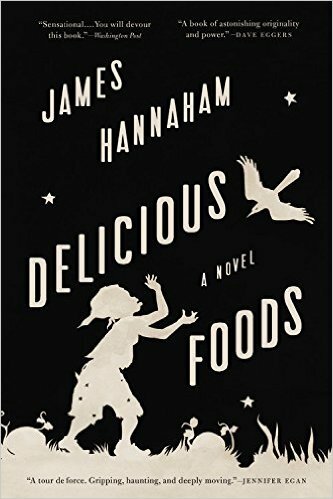 The pervasive obliviousness to the suffering of slaves in America today was a powerful force as Hannaham wrote Delicious Foods. He kept thinking about his shattered belief, still held by so many, that slavery no longer existed. He realized: nobody wants to face this tragedy--and everybody should. "Everybody talks about slavery in the American South as if everybody should have gotten over it a long time ago," Hannaham says. "Slavery is one of the most hidden and yet prevalent issues facing the world right now. There are more slaves on the planet than there ever have been." Modern slavery speaks to Hannaham as an author inspired to write stories about marginalized people. "Who are we forgetting?" he says. "That's the question I'm always asking myself. Who are we forgetting?" In telling his fictionalized account of real anguish, Hannaham wanted to shed new and distinctive light on the face of modern slavery. Most documentaries and news accounts focus on trafficking. "But to hear it called 'slavery' puts a spin on it that's completely different," he says. "A novel gives people an emotional history of something that the facts don't always quite articulate." Hannaham saw that modern slavery was suppressed. "There was no reason people shouldn't know about it," he says. "It was something people needed to know, but they weren't going to for a long time." He saw in ignorance a unique opportunity. He saw how he could unveil it--to write. Hannaham thought he could work on his novel while no one else was attuned to the topic. He was right. The story of modern slavery is intricate and covert; it is woven into consumer and supply chains, the structure of impoverished societies, the daily lives of millions of vulnerable, unknowing, innocent people. For all his talents--for language, dialogue, characters, and prose--Hannaham struggles to articulate his role in freeing slaves. "Does one even need a justification for doing something that's just right?" he asks. "When it's an injustice that seems both insane and antiquated?" After much contemplation, the author found a way to describe his work with Free the Slaves. "I free slaves because I feel like it's going back in time and righting something that needed to be righted a long time ago." Above all, Hannaham strives not to be complicit in the modern slave trade. He wants to live a life of integrity. "To know these things is to take responsibility," he says. "It's the first step." Delicious Foods details the horrors of debt slavery in America. In America, slavery is happening today. Hannaham thinks it is time for us to take action. His work powerfully dispels the notion that slavery is a thing of the past. "No," he says. "It's actually right here, down the street--and we have to deal with it." Hannaham is one of seven remarkable individuals who are being profiled this fall in our Why I Free Slaves film series. See all seven short films here.